Colour, chaos and lots of music, those are the main ingredients of this Masters Project. Yeah, Bournemouth Uni has given us a challenge for the Final Masters Project Unit, the creation of an audiovisual piece and this website is the testimony of the making of our short film: She Doesn't Need Drugs To Get High! Cristina Patiño Sheen AKA. Criskcracker, Director. Cristina Patiño Sheen is guilty of all charges. She is the creator of this big mess! She wrote the script and she is directing it too. What do we know about her? She is a MA Directing Digital Film student at Bournemouth Uni. Yeah, that's in Bournemouth, England. She came from a galaxy far, far away (almost!). Cristina used to be a Film Editor in Lima, Perú. That's in South America, and no, she doesn't speak Portuguese, but Spanish. What is she looking for with "She Doesn't Need Drugs to Get High"? No, she is not trying to persuade you to live without drugs. She just wants you to join Adriana in her journey to the big city through her wacky inner world. Get involved it might be kinda cool! She's not alone. She has a partner in crime! Sian Tomlinson is producing the mess! So it might get quite messy! She is from Bournemouth, but she's not a Bournemouth girl! She's studying MA Producing Film and Television at Bournemouth Uni. Yeah, same as Cristina, the only difference is that it is a different course, and Sian knows exactly what she's doing. It's just a little preview of what is about to come. 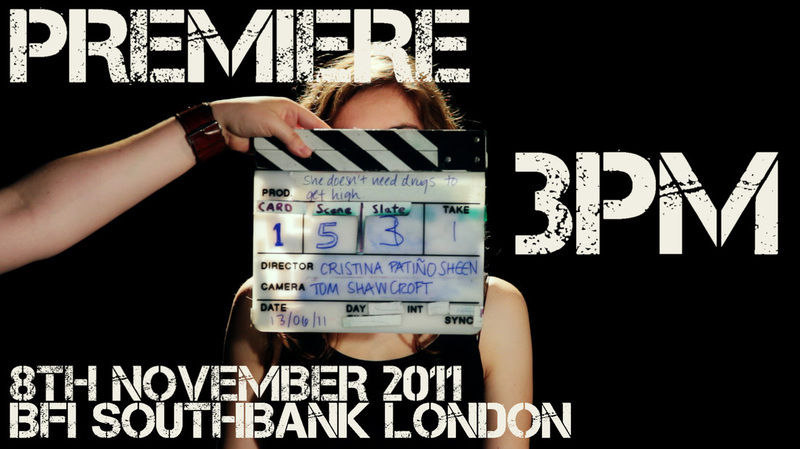 A short film being produced by MA students with lots of enthusiasm who believe in themselves and want to create stories. We'll keep you updated with what's going on with "She Doesn't Need Drugs to Get High". We'll post this site on Facebook, Tumblr and everywhere else. Get involved, follow us and have a good time! Help is always good so if you can contribute with something, anything, we'll be even happier. Yes, we are a happy team! And yes, we can be annoying too!